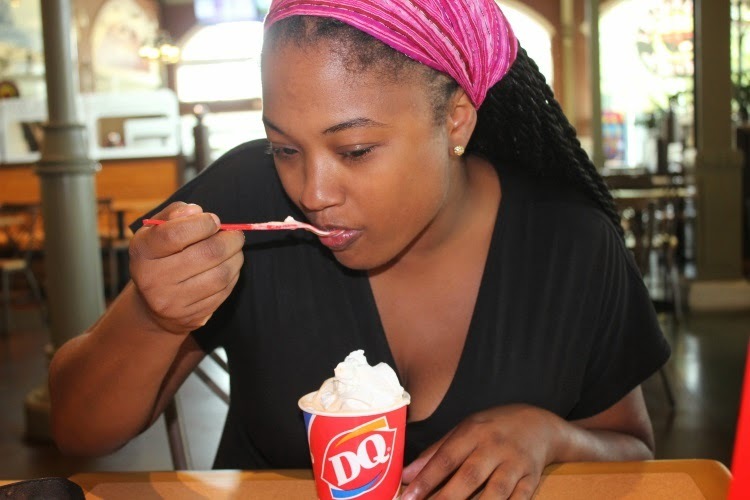 In true fan-loving form, DQ is asking fans across America to decide which flavor reins supreme. And we’re making it personal. We’ve teamed up with the mayors of two towns known for their apples and pumpkins, Wenatchee, Wash., known for apples and Caro, Mich., known for pumpkins, for this Blizzard Battle. The mayors are placing a friendly wager on which flavor will come out on top. 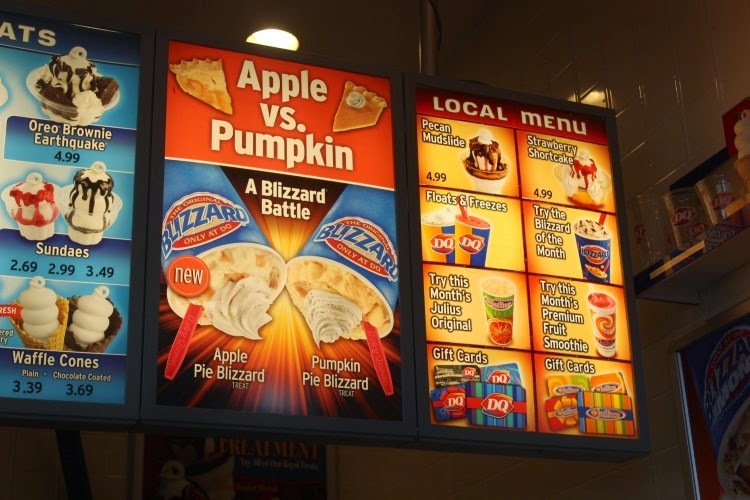 The town with the most votes will become the Official Pumpkin Pie Blizzard Treat or Apple Pie Blizzard Treat Capital of the World. 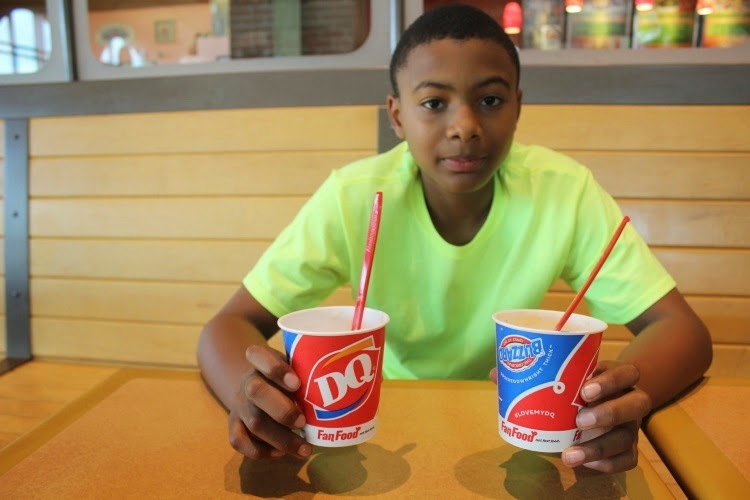 The losing mayor buys the winning Blizzard treat for both communities. 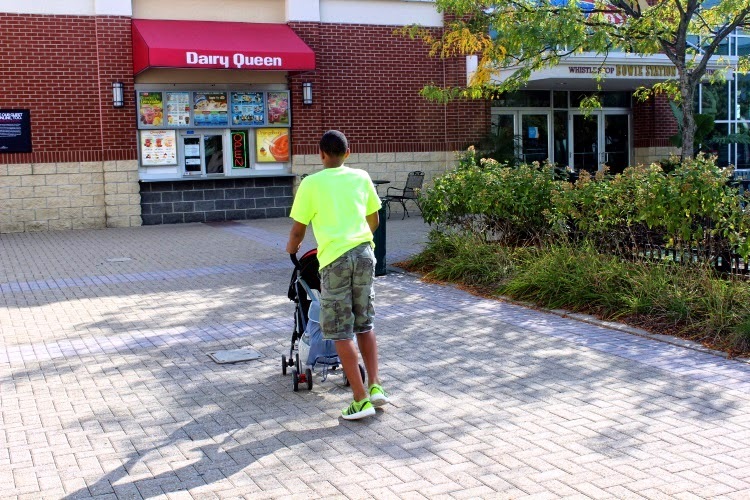 My boys and I headed to Dairy Queen at the Bowie Town Center in Bowie, MD. It was located inside of the shopping center's food court. On the menu, there was signage for the Blizzard Battle. It caught my eye immediately. 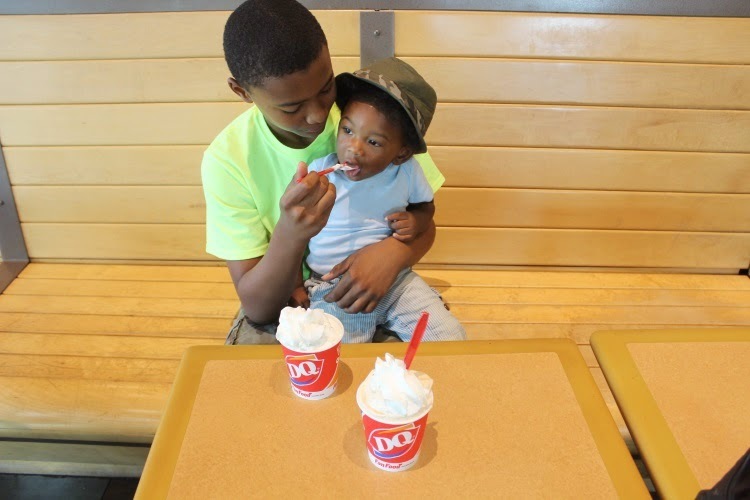 We decided to go with an apple and a pumpkin blizzard. We ordered a smaller size just to test them out. It was a good amount and topped with whipped cream. There were bite size pie pieces in the blizzard that I loved. I could not help digging through the blizzard to find them. 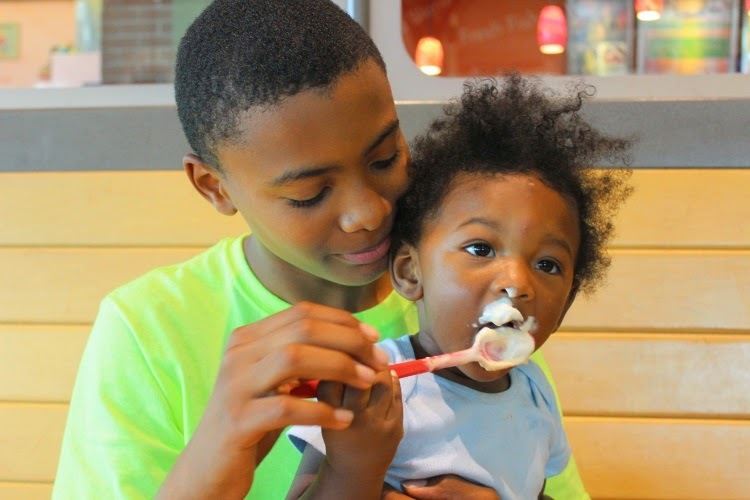 My boys are awesome taste testers. Well, my oldest is at least. 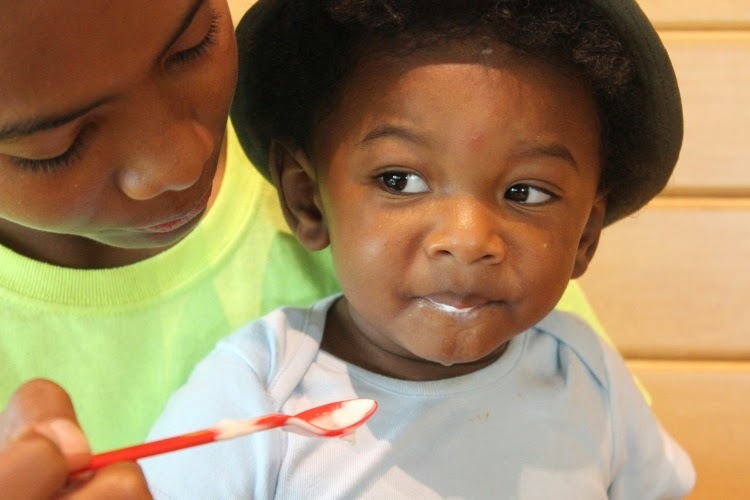 The youngest one will eat anything, so he is really not that great of a help. If I see him make a face, though, I know that he's not too sold on the taste. 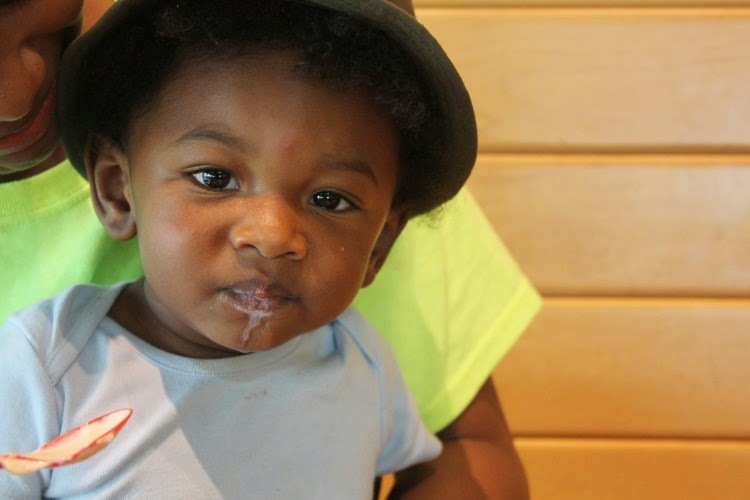 This happened when he tasted the pumpkin blizzard. He wasn't too sure about it. That wasn't the case when it came to the apple blizzard. He devoured it! I was all for the pumpkin blizzard before visiting Dairy Queen. I was getting all ready for the Fall season and thought this flavor who help give me a headstart on doing so. I gave it a shot, but I did not like the taste. 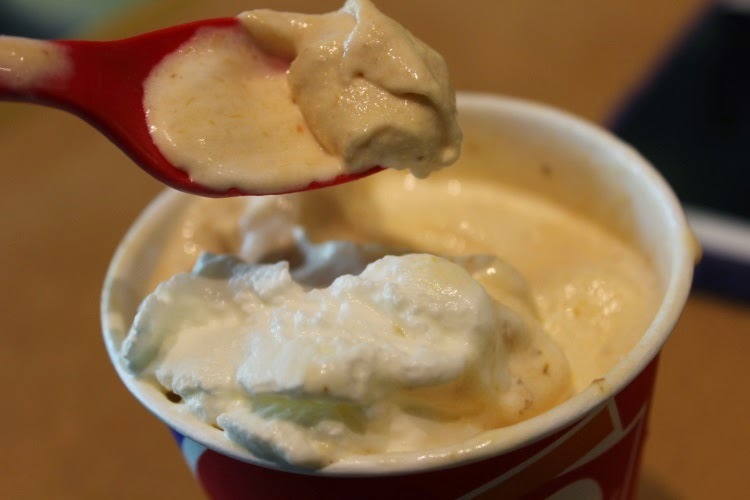 It wasn't awful, just not as pleasing and delicious as the apple blizzard. My taste buds responded more positively to the apple. 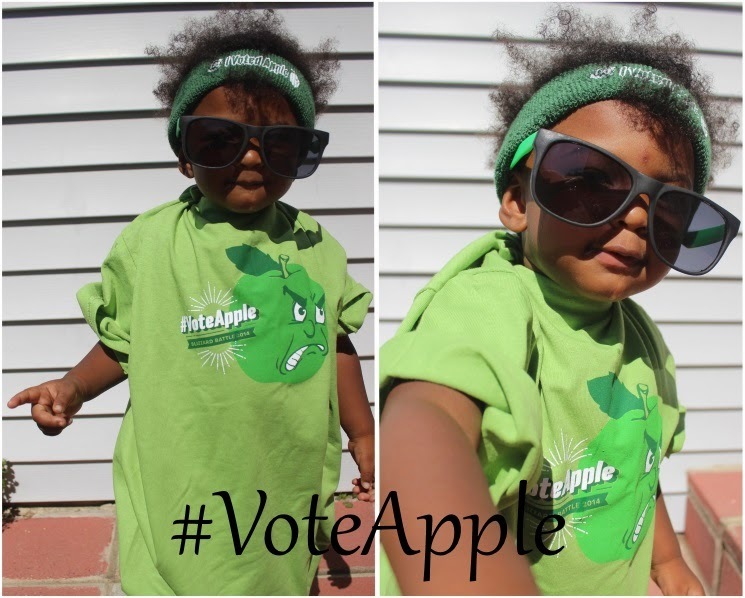 My son was team apple as well. He tried them both and said the pumpkin was a little weird to him. He is a very picky eater, so who knows what his reasons were behind choosing apple. I appreciate his honesty though. After all was tasted and done, my family unanimously decided on the APPLE BLIZZARD (Wenatchee, Wash.). I voted on the website for it. Apple is currently behind in votes. I am guessing that the weather change people longing for anything that screams Fall. Pumpkin has a bit of an edge in this case since it was available before. Apple is new. Let's see if the fans can vote it up. Now, it's your turn. 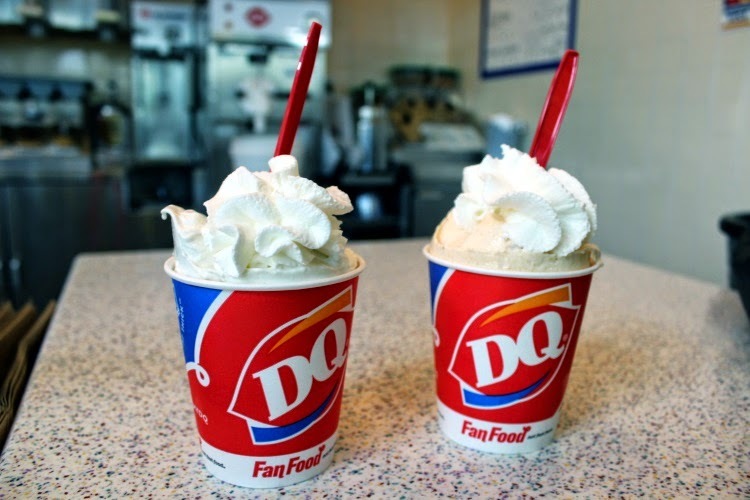 Visit your local Dairy Queen to try the pumpkin pie blizzard and the all-new apple pie blizzard. 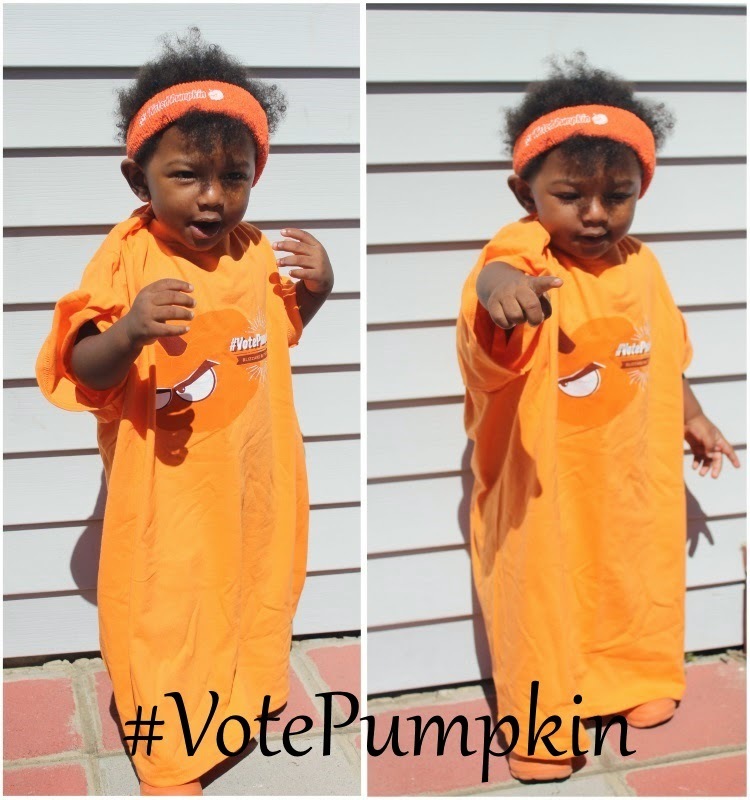 Then, vote on your favorite. 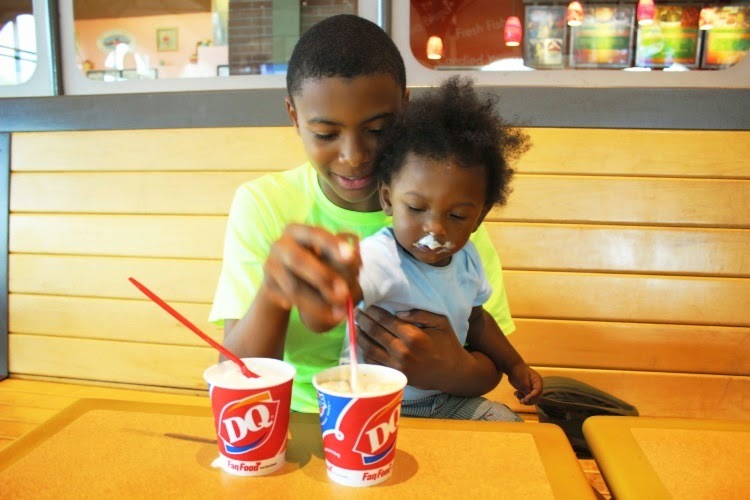 I was provided gift cards to try out the blizzards, thanks to Dairy Queen. The opinions and views are my own.